Throughout the year, the Capgrossos group holds human tower events in the city. 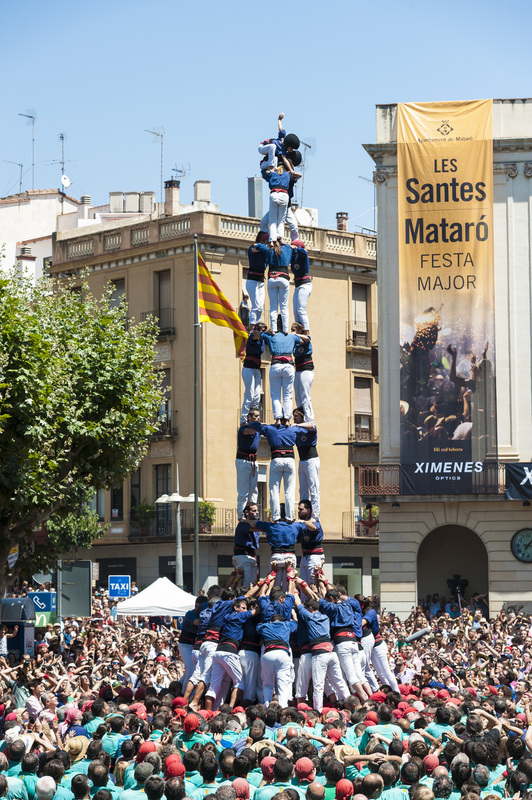 For the festa major, the Diada de Les Santes is held on Plaça Santa Anna, in which the local group and two invited groups of castellers from elsewhere take part. At the end of the season, in early November, the Capgrossos hold their annual celebration, which since 2011 has been known as the Diada Castellera Mariona Galindo Lora, as a tribute to the child who died in a human tower accident during the Diada de Les Santes 2006. The Capgrossos de Mataró are one of the most talented groups of castellers in Catalonia. Founded in 1996, this was the first group in the Maresme region. The group dresses in navy and its best castells include a 2-by-9 tower with three base layers, a 1-by-8 tower with three base layers, a 3-by-9 tower with two base layers, a 4-by-9 tower with two base layers, and a 5-by-9 tower with two base layers. It currently has over 1,000 members.